Not content with just offering fans a 25th Anniversary concert tour, Nintendo have announced that Nottingham’s videogames festival GameCity will play host to a special Zelda Anniversary takeover on October 29th. Nottingham’s Old Market Square is to be transformed into a Hyrulean market village for the day, providing the chance to play The Legend of Zelda: Skyward Sword before it is released on November 18th. Alongside this, you’ll also be able to enjoy other activities including the opportunity to create your own sword and shield, learning how to play the Ocarina or even chilling out at the Lon Lon Milk bar. Through completing such activities, you will gather pieces of the Triforce and will then be able to complete the Hero’s Quest. Those that learn how to play the Ocarina will then be able to join an Ocarina Orchestra where you’ll perform renditions of the series’ most iconic theme tunes, the reward being the chance to take home a limited edition Zelda branded ocarina. GameCity is due to kick off on October 25th, and in ahead of such a date they are seeking fans that would be willing to contribute to a fanzine. This one-off publication will be created and designed by the public, and made available on the Saturday. Fans can submit artwork, poetry, a story or even share a fond memory of the franchise. The National Videogame Archive will provide the chance for fans to record a short video diary at the event, where they can share thoughts, feelings, experiences and memories. 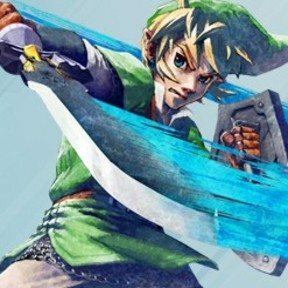 Lastly, GameCity are looking for a team of six Zelda experts that are able to complete any game within the series in a quick time. If chosen, you will join a tag team that are attempting to complete fifteen games within The Legend of Zelda series starting with the NES original and finishing with The Legend of Zelda: Twilight Princess. If you want to register your interest you need to email onm@futurenet.com with the headline ‘Zelda speed run’.